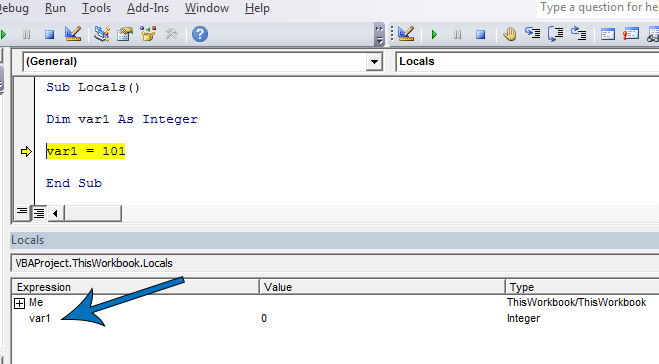 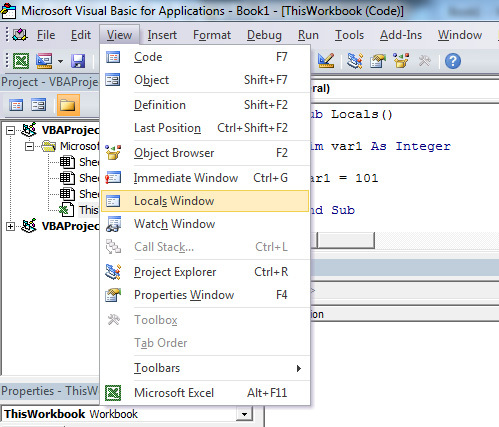 We’ve written a post on the VBA Intermediate Window and explained how it can be used to question the value of a VBA variable. 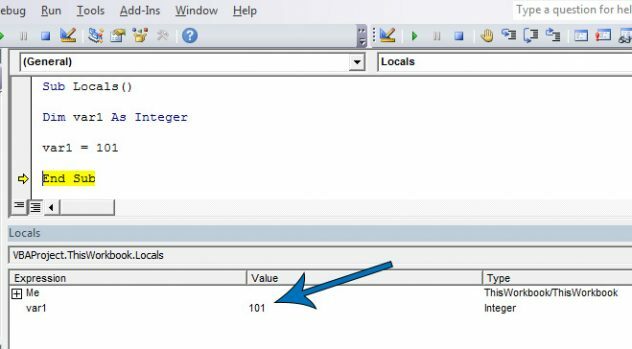 There is another way to show active variables and their values (if they have one) along with the variable’s data type etc. And that is it. Whatever point you are in you macro’s code you can load up the locals window and see exactly what is happening with all your variables. 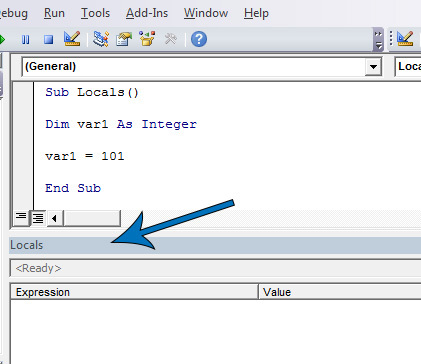 Very helpful when debugging code and if you have lots of variables being used.